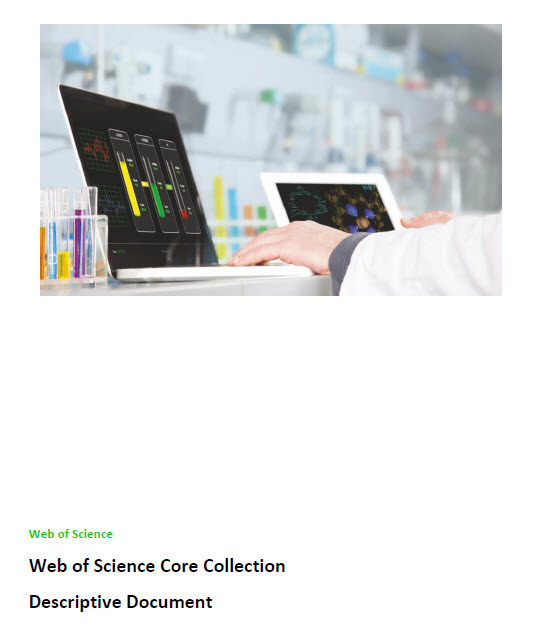 What is Web of Science Core Collection? Web of Science Core Collection is our premier resource on the platform and the world's most trusted citation index for scientific and scholarly research. It is a curated collection of over 20,000 peer-reviewed, high-quality scholarly journals published worldwide (including Open Access journals) in over 250 science, social sciences, and humanities disciplines. Conference proceedings and book data are also available. What makes Web of Science Core Collection unique? All the journals that we select for inclusion in the collection are indexed cover-to-cover. Organization name variants--the different ways authors refer to their organization--have been unified to a preferred org name. We have unified over 5,000 institutions worldwide and there is ongoing work to unify many more. This expedites the process of searching for an institution's total publication output. What is a citation index? If you're new to citation indexes, this short video highlights the unique benefits of using a citation index. The Web of Science Core Collection is a curated collection of high quality scholarly content. Click on the tabs to find out more about our selection process for journals, conference proceedings, and books. Your in-depth guide to Web of Science, covering the content, indexing and search capabilities. What is Cited Reference Search? Tips on improving the accuracy of your author searches. Watch the video on searching for organizations in Web of Science Core Collection. Watch the complete playlist of video tutorials on the Web of Science Core Collection. Tilla Edmunds, Content Management Director for Web of Science, discusses how the quality and quantity of data in the Web of Science sets it apart. Want more details about what makes Web of Science different, and examples of why it's the most trusted citation index in the world? Read more about why you should Trust the Difference.